Something I try to do in my day to day life is look up, or down, or around corners. I try to notice things that I wouldn’t normally. Sometimes when I do that I have the camera with me. I went out for lunch on Chapel St, Prahrana. 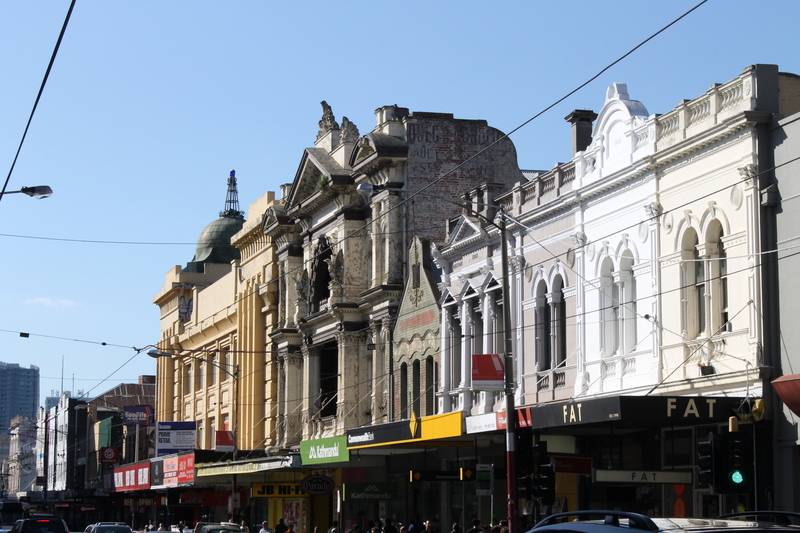 I sat there, on the first day of spring for nearly two hours enjoying the sunshine and feeling so pleased that Melbourne had put on a glorious show. 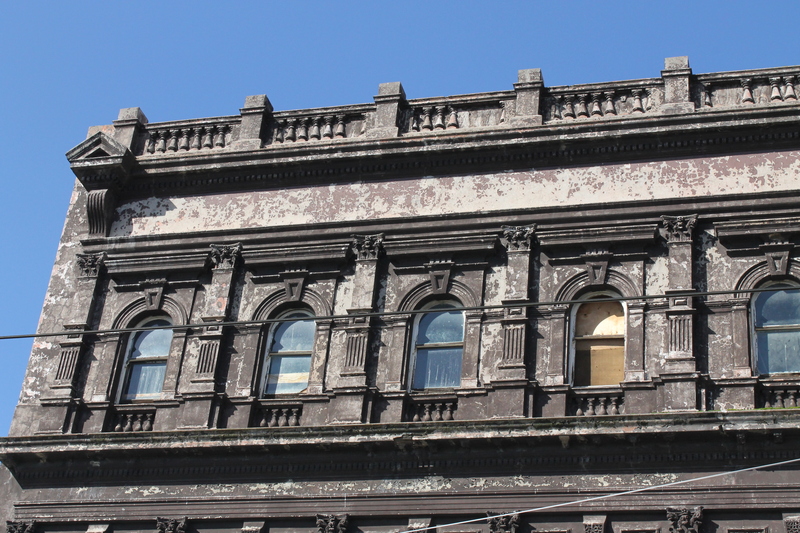 I took a few photos of some of the crumbling buildings above the shiny shop fronts. It’s amazing the things that exist just outside of the normal view. 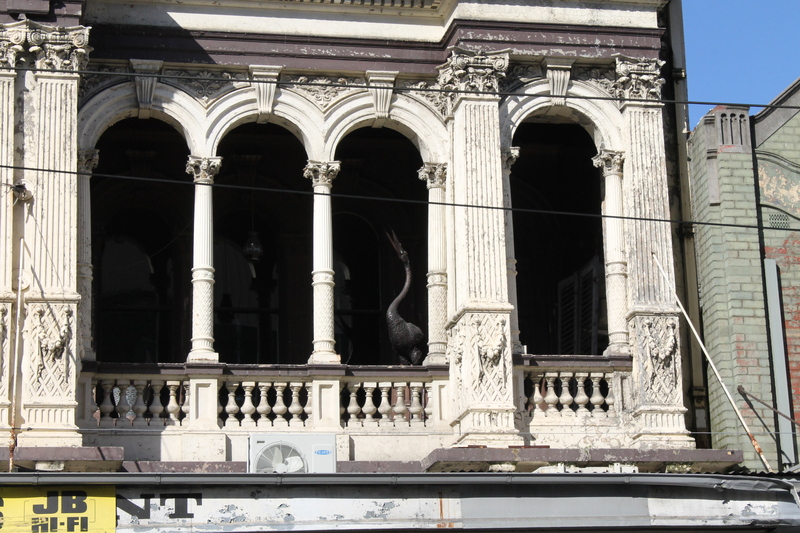 Here you can see the well kept shop fronts and the dilapidated upper section of the building. 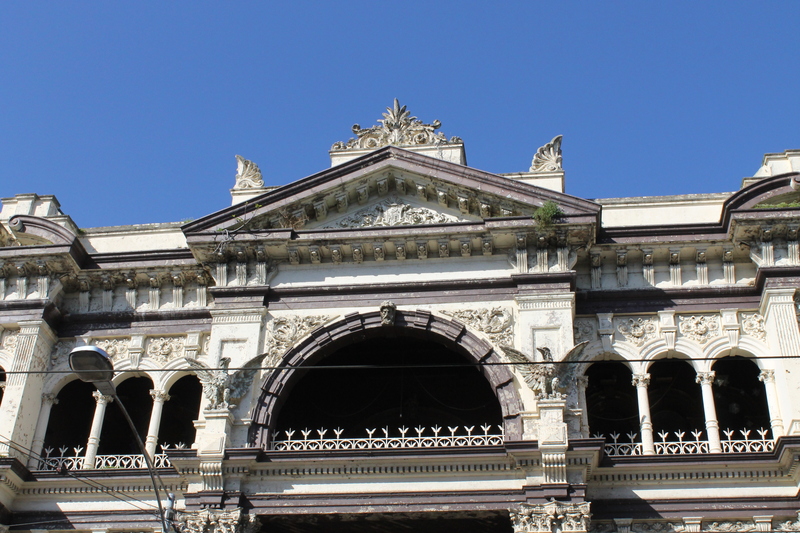 This is the front of the same building, notice that there is grass or a plant growing at the top of the building along with the peeling paint. Then of course there were the weird giant bird sculptures. This one was slightly down the road and the paint was worse for wear. I like that taking a slightly different viewpoint can result in seeing such new and amazing things. And I love that spring is here and the weather is getting brighter, and my knee is recovering nicely and I might even be able to go on proper adventures soon. Today, life is pretty amazing.